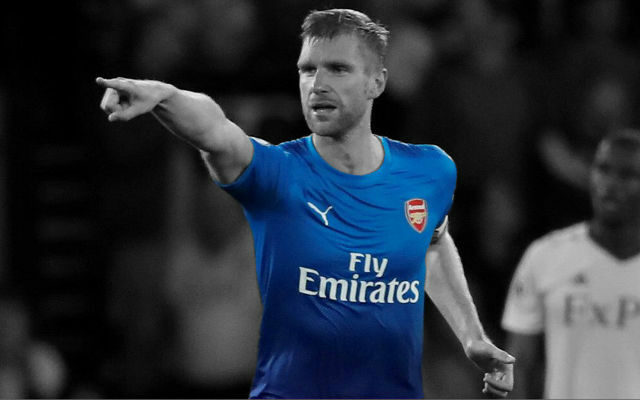 Per Mertesacker has revealed the toll which professional football left on him both mentally and physically (via The BBC). He’s called time on his playing career but Per Mertesacker is still very much a part of Arsenal Football Club. The former German international is the current Head of Arsenal’s Academy after retiring from playing at the end of last season. Earlier this year, Mertesacker spoke openly about the physical toll which professional football left on him and now, he has revealed that effects were mental too. “Especially in my last year, I felt something and felt the pressure and it was very awkward sometimes,” Mertesacker told the BBC. “I was happy about not necessarily playing, just training was enough for me. “Being in a career and going from highlight to highlight and playing a lot of matches you go through it and think it’s normal when you play in front of 60,000 and you almost want to vomit in front of every game. Mertesacker called time on his career over the summer and is now working with young players. “It helps to get a connection even to young players because everyone has a story, everyone goes through something and to speak about your feelings is difficult,” he said. “I think it opens up and it gives them kind of a platform to think ‘oh, he’s been great. He has been a professional player for 15 years. But still. He suffered. He’s suffered and battled fear and still made it’ – so to talk about it definitely helps. It’s a fascinating interview with Per Mertesacker. We rarely consider the negative ramifications which professional football can have on a young person’s physical and mental health.